When I am sick, I have such a hard time sleeping. I can literally lay wide awake for 2-3 nights in a row if I am sick. What I have ended up doing in the past when sick is taking a sleep aid with a pain reliever (such as Advil® PM) for 2-3 nights to get me through so that I do not become too sleep deprived and can get better quicker. Sleep is very important for your mental and physical well being. Your body is able to revitalize and recover from the day before while you sleep. If you are low on sleep, you will not feel your best. Trust me, with a baby, I understand what it feels like to be sleep deprived! The issue that I am dealing with right now is pain in my back. 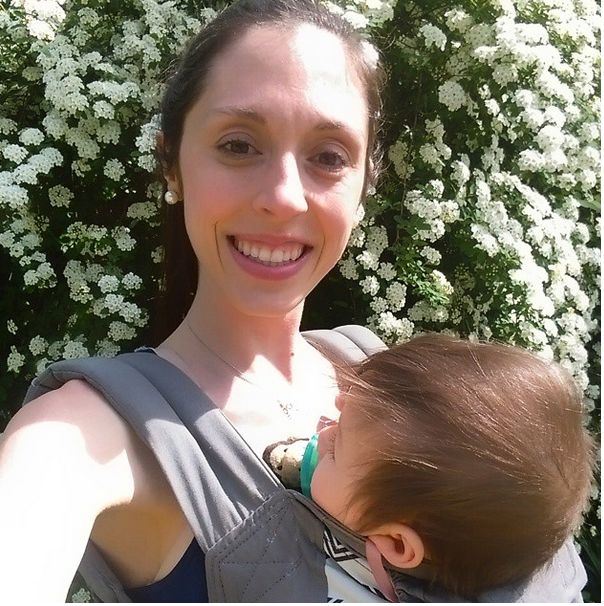 I wear Adalyn nearly every day in our baby carrier which I absolutely love. The problem is that I have been wearing her for hours and on long walks and have really hurt my back doing so. I am now carrying her as little as possible for a bit until my back is better. I think that I will still be able to wear her, just not on a 4 mile walk for example. 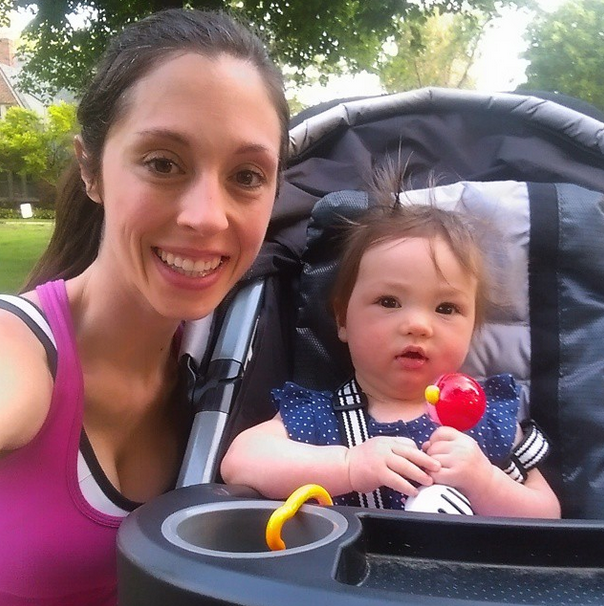 Skipping the carrier for a bit and using the stroller is a big help with resting my back! If I would have trouble sleeping along with the pain in my back, I could consider taking Advil® PM to help me sleep better and to treat the pain. I think that a proper night's sleep can help you get better sooner than if you do not sleep. Advil® PM has a pain reliever in it and a non-habit forming sleep aid to help you fall asleep and stay asleep. Visit Advil® PM online for a coupon. Talk to your doctor if you have any questions about taking Advil® PM. Love the pictures!! I too have back pain and AdvilPM has really reduced my pain to the point that I can now get a good night sleep as well. I hope Advil PM continues to help you relax to get your much needed sleep. So glad you and I both found something to relieve our back pain. A good night's sleep is so so important. I agree! Advil works great for everyday aches and pains! By the way, I love the photos of your wiener dogs--I have one too! Awe, Adalyn is beautiful...so glad you have this time together. Glad you're finding a way to rest so you can be at your best for your li'l one.